Thanks Around the World ARC Tours for the book! 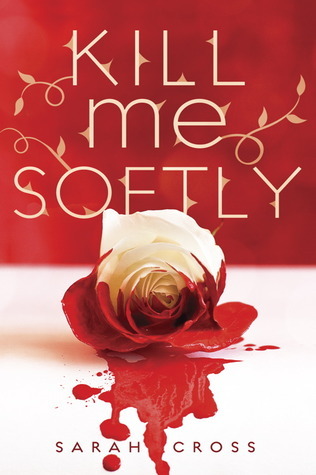 Kill Me Softly is a retelling of all kinds of fairy tales. The heroine of the book is Mira, a girl who’s sixteenth birthday is right around the corner. She leaves her two guardians behind, and journeys to a town she is forbidden to visit. There she meets all kinds of interesting people, from a boy named Blue, who’s mission in life is to get on her nerves, to a boy named Freddie, who’s the sweetest guy on the planet. With two new friends, or something, in tow, she searches for her family and for her own meaning in life. She meets Felix, extravagant casino owner who steals her heart and so much more. This book is a quick read, full of twists and turns. Honestly, when I started the book I expected something along the lines of Once Upon a Time (which is a fabulous show by the way), but it was nothing like it. At times, I wasn’t sure what exactly I was getting myself into. There aspects of the book that I wasn’t too happy with, just because they were a bit awkward/weird? My favorite part of the book was exploring all the different fairy tales how they were first written. I had the villain figured out from the beginning because I have a thing for fairy tales, and it was fun seeing all the characters coming alive.